In all three species the colour of the young birds differs strikingly from that of the adults. First year accipiters are always brown: sepia or chocolate brown above, pale tawny or yellowish-brown to creamy white below. The feathers of the back are broadly edged with white or near white and crossbarred with darker brown, giving the back a coarsely barred appearance. The pale breast and flanks are streaked lengthwise with dark brown, and the wings and tail are crossbarred with dark bands. Their eyes vary from pale grey to greyish yellow and from amber to amber-yellow. 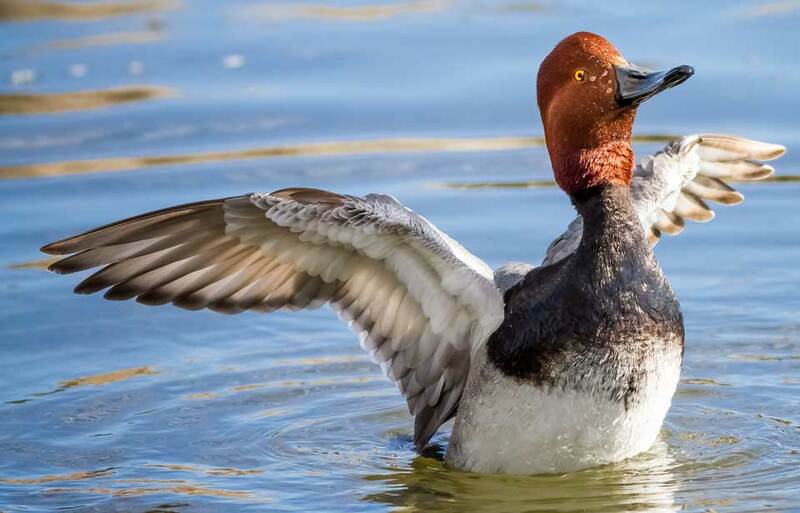 All young acquire adult plumage at two years. 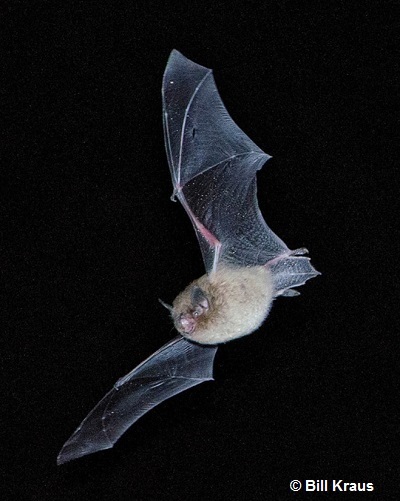 In the adults, the upper surfaces from the nape to the tail, including the wings, are pale slate to bluish grey. From below, the two smaller species appear tawny or reddish brown, due to broad, even crossbarring of this colour on a creamy white ground. The goshawk is similarly crossbarred below with grey, but these markings are so fine and so closely spaced as to appear a uniform pale grey at any distance. 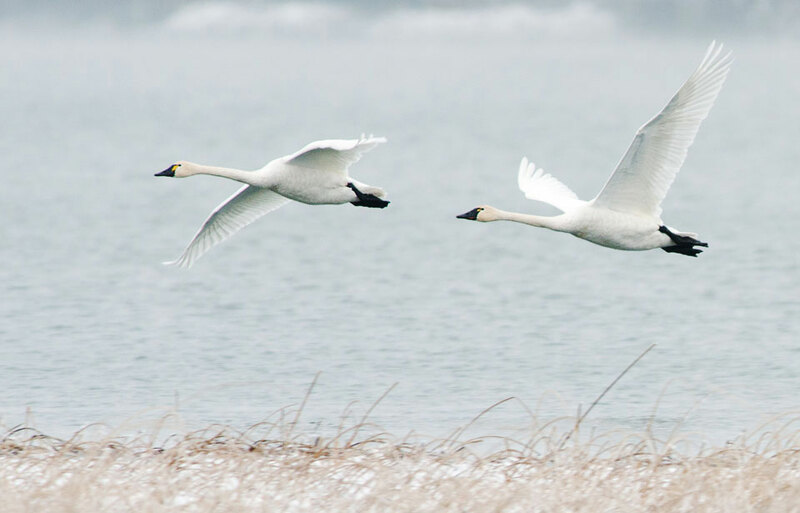 In the adults of all three species the long feathers under the tail are snowy white, and the eyes have changed to dark red or orange red. These three accipitrine hawks are fairly similar in voice. 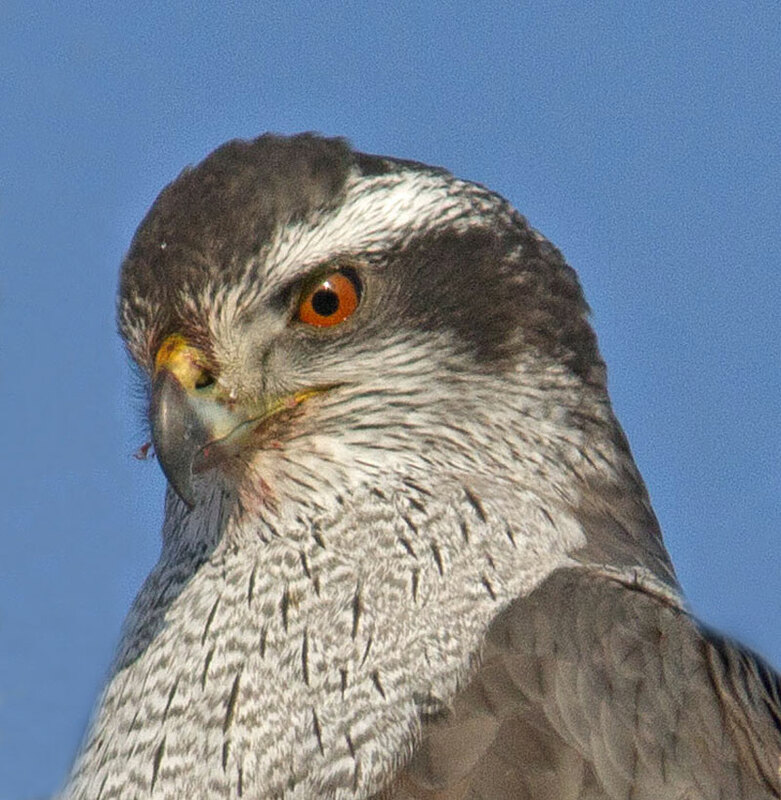 The Northern Goshawk has the heaviest sound, kak, kak, kak or kuk, kuk, kuk. 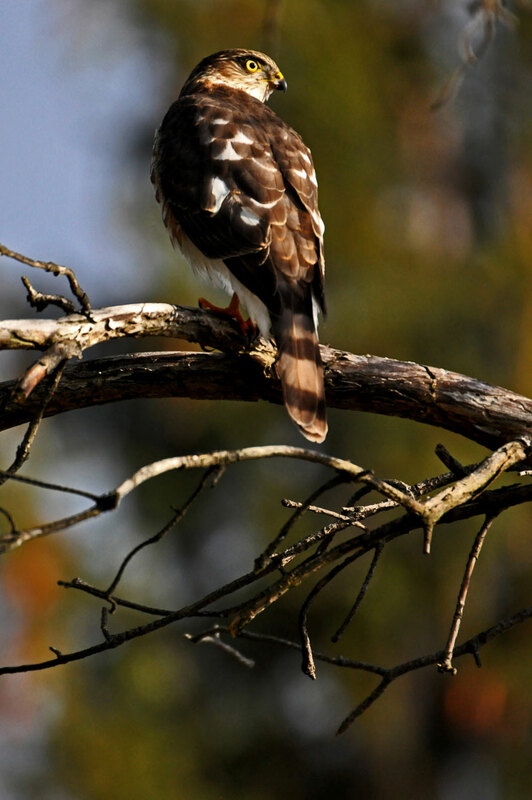 The Cooper’s Hawk is slightly lighter, a rapid kek, kek, kek, usually around the nest. 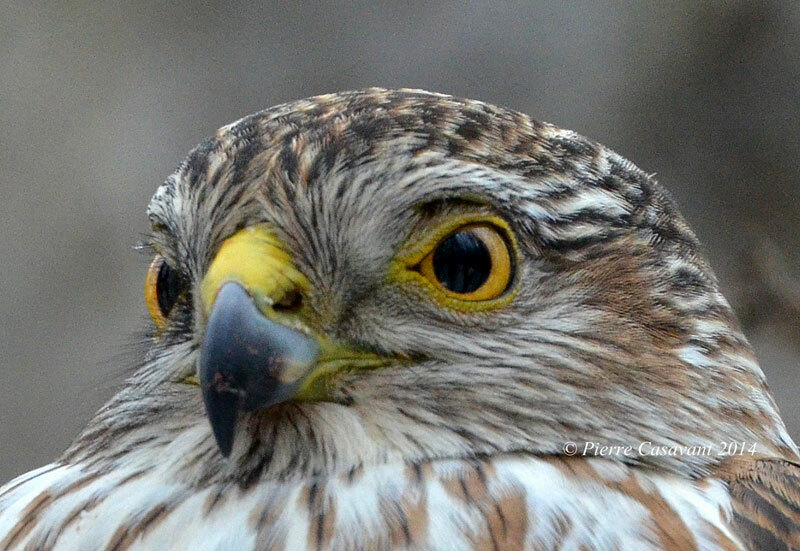 The Sharp-shinned Hawk’s voice is similar to the Cooper’s Hawk but shriller—a high kik, kik, kik. During the spring breeding season, the Cooper’s Hawk accompanies its aerial display by vocalizations, interspersed with nest repair or building. Adult Northern Goshawks are aggressive in defending their nests and sometimes announce an attack on an intruder with vocalizations. 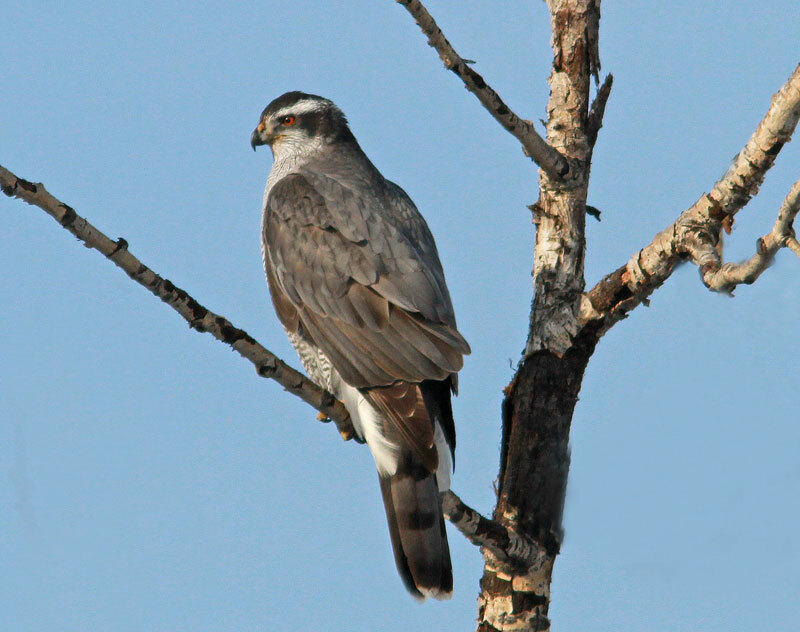 As a breeding bird, the Sharp-shinned Hawk favours the boreal, or northernmost forest in the Northern Hemisphere. It also breeds in any timbered or bushy area, especially where hills and mountains provide reasonably cool climates. It is perhaps the most abundant hawk in Canada in summer. The Cooper’s Hawk nests primarily in deciduous woodlands. It is the common forest and bush-country hawk of the mid-latitudes. 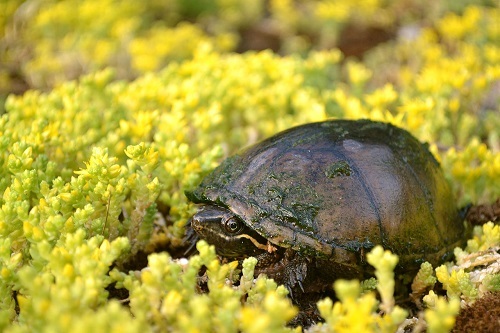 It can be found in the hardwood forests of southern Ontario and the eastern United States, the bushy or lightly timbered coulees and river bottoms of the southern Canadian prairies and the plains states, and the scrub-oak or mixed fir-oak forests of the western mountains. As its name suggests, the Northern Goshawk is a true northerner. 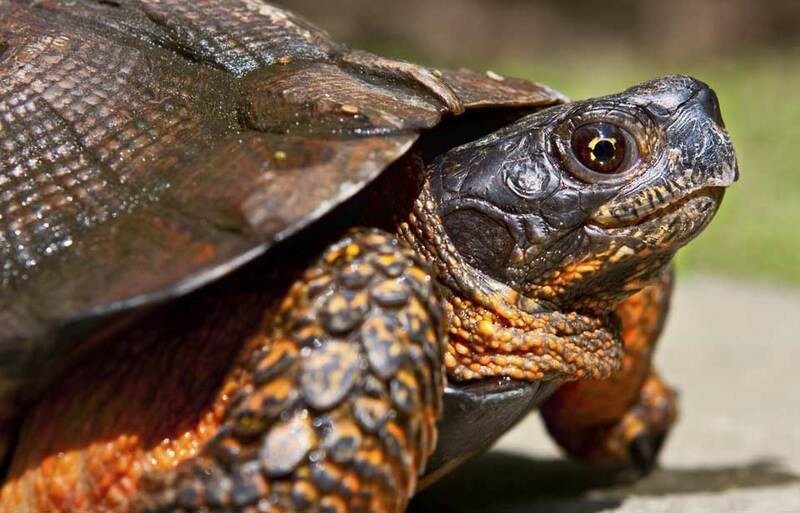 It spends both the breeding and non-breeding seasons in the broad belt of spruce, aspen, and birch forest that extends across the northern one-third of North America. Its breeding range extends southward only where high mountains and the associated cool coniferous forests provide conditions similar to those of the northern spruce forests. The flight of accipiters is most distinctive. These hawks fly in a direct, purposeful way just at or a little below tree-top level, with four or five quick, sharp wing beats followed by a short glide. 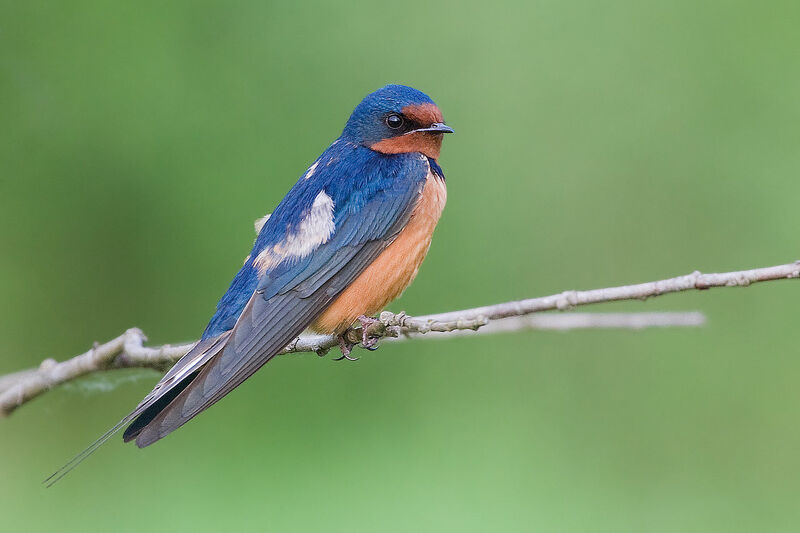 With an instinctive ability to be unobtrusive and unobserved, they reach their nests by flying low along the forest floor and then vertically up the nest tree to the nest. Of the three accipiters, the Northern Goshawk displays the heaviest and slowest wing beat. The accipitrine hawks, long considered by many people to be destructive to songbird populations, are actually of great service to their prey species. Their method of attack tests the birds they hunt for alertness and speed; they cull out the unfit, and eliminate any that live in poor habitat or feed too far from good cover. Goshawks, especially through their infrequent invasions of the mid-continent, were once believed a serious menace to introduced game birds such as Gray Partridge and pheasant. Although it is true that they sharply reduce the populations of these species, they do so far more selectively than hunters with shotguns. The range of these three North American hawks covers all of North America, from the tree line south. 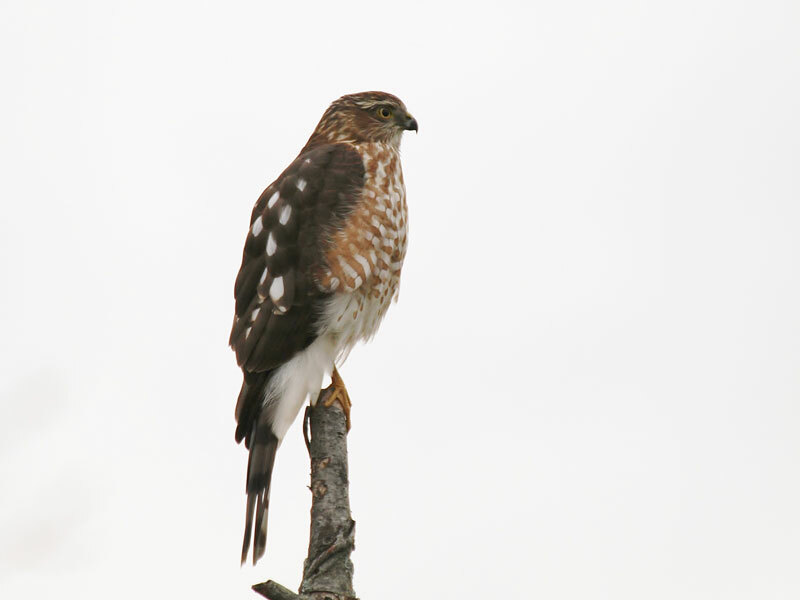 Only the Sharp-shinned Hawk occupies the whole range. 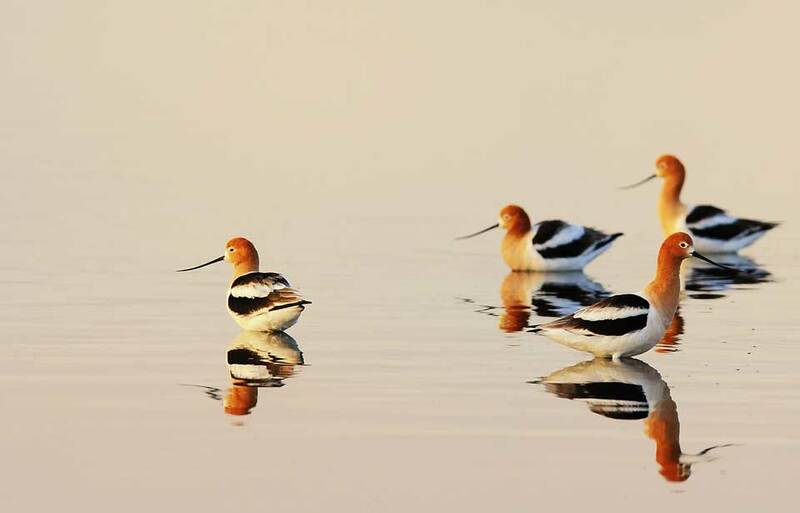 Its intolerance of cold weather and its need to follow the migrations of the small birds on which it preys usually force it to migrate to the tropics and subtropics. 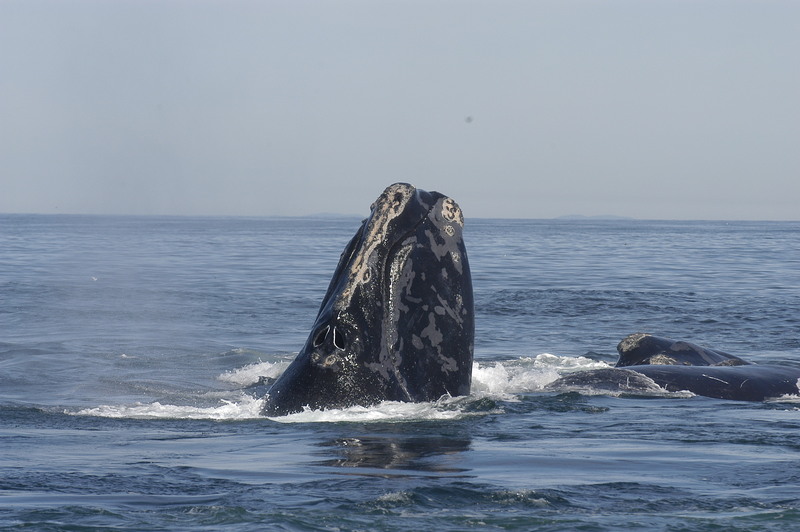 In British Columbia, however, some individuals spend the non-breeding season in the interior and along the southern coast. The Cooper’s Hawk could best be described as a reluctant migrant. 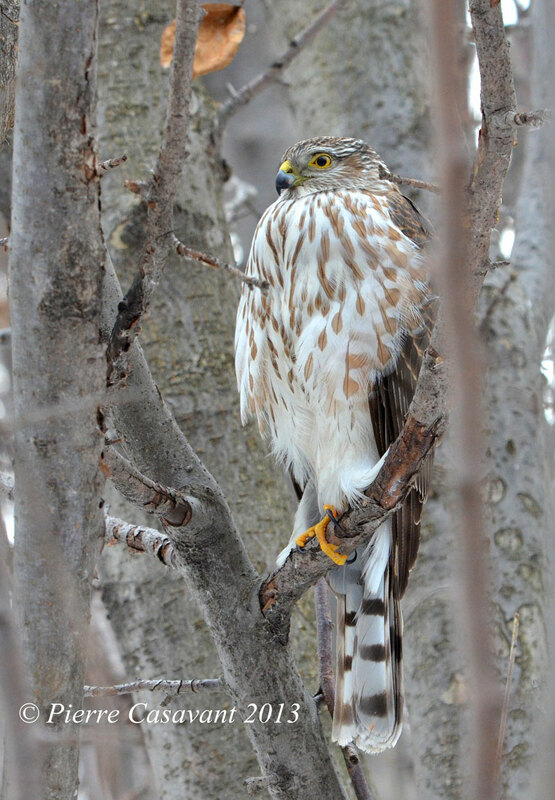 Although it leaves the northern portions of its breeding range in winter, it spends the non-breeding season farther north than most Sharp-shinned Hawks. 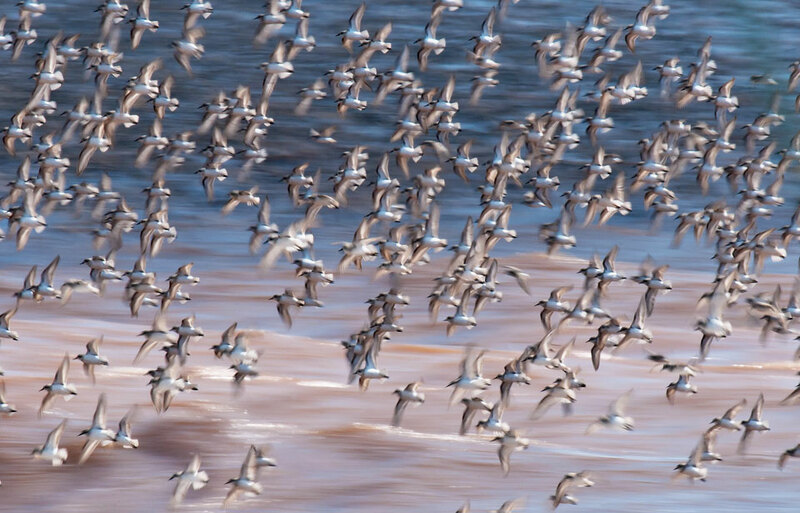 Nonmigratory populations inhabit Vancouver Island and the Fraser Valley of British Columbia. 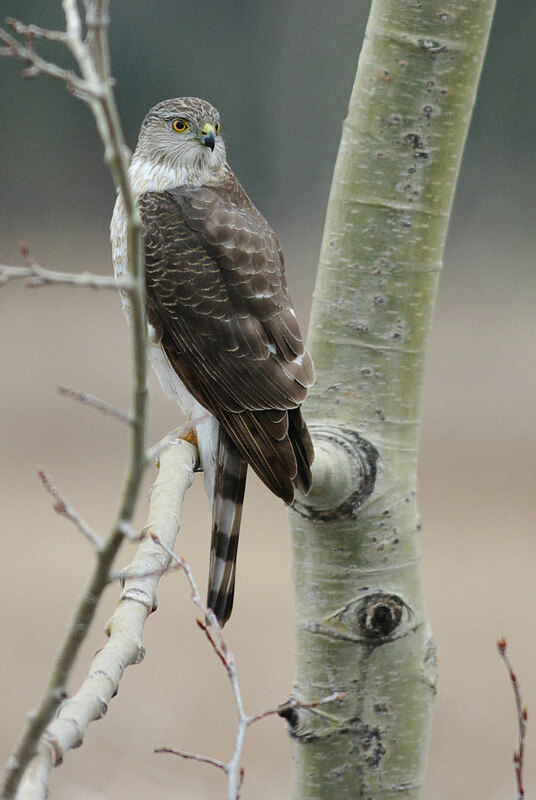 In the east, Northern Goshawks rarely occur south of the 45th parallel during the breeding season; in the west they reach their southern limit in the mountains of northern Mexico at elevations above 3 000 m. The species is not truly migratory, for many adults winter as far north as the species breeds. There are, however, some fairly well-defined movements of Northern Goshawks, particularly east of the Rocky Mountains. 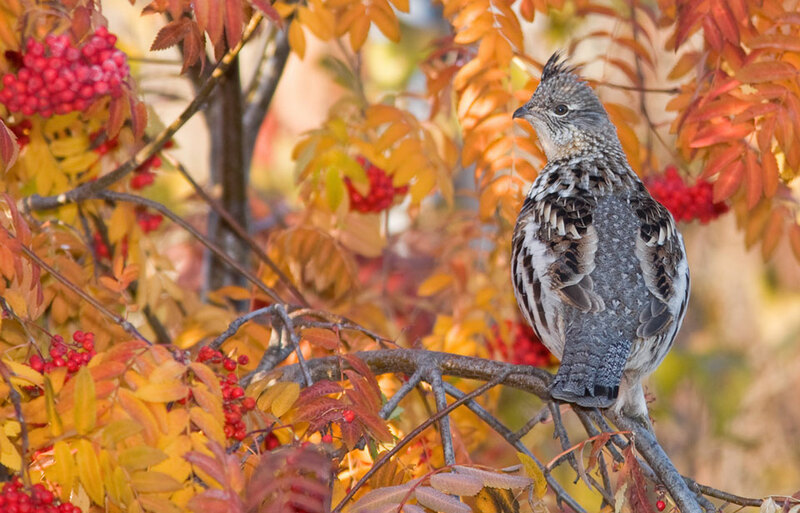 These movements coincide with major die-offs, every nine or 10 years, of cyclic northern food species such as the Ruffed Grouse and snowshoe hare. The accipiters are birds of prey, which means they eat flesh. They are also diurnal, which means that they hunt during the day like all the other birds of prey except the owls. 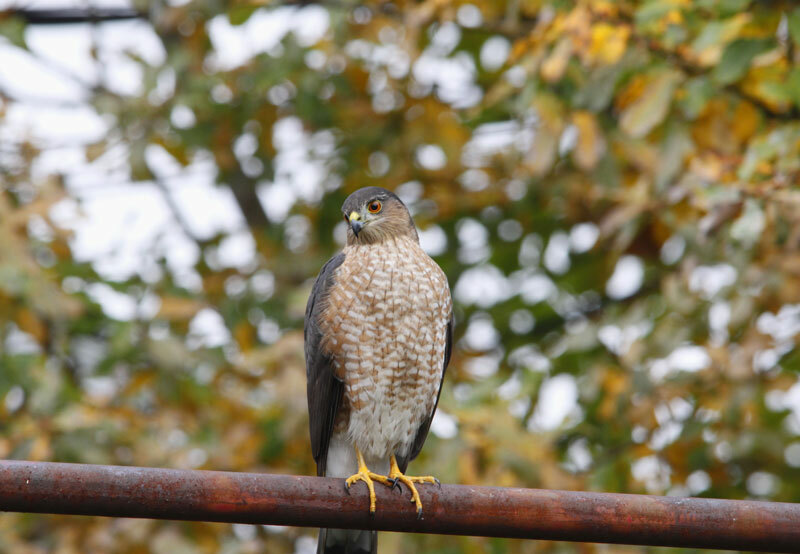 They are also primarily bird hunters, especially the Sharp-shinned and Cooper’s hawks. The Sharp-shinned Hawk follows the migration of the sparrows, finches, and warblers into the northern forests in summer and back to the subtropics in winter. 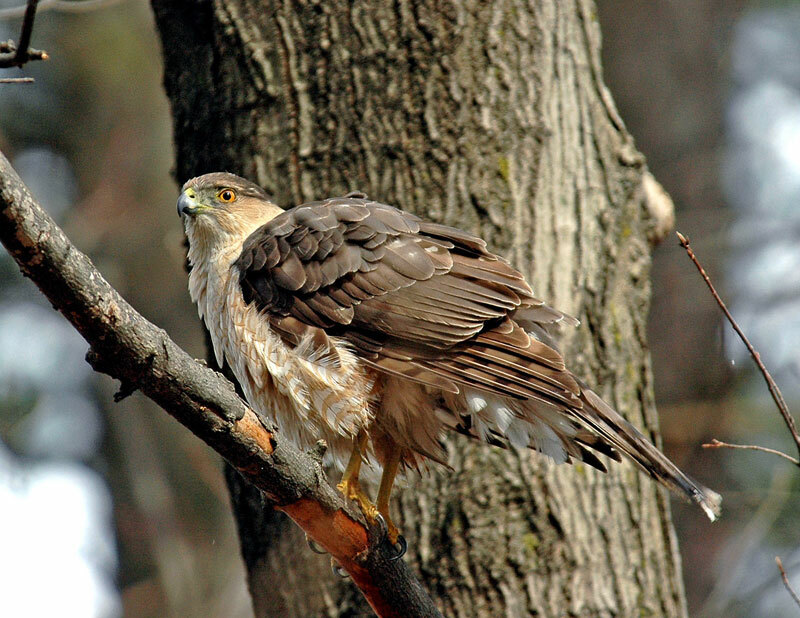 The Cooper’s Hawk preys on larger forest and bushland birds of the mid-latitudes: American Robins, jays, and quail. 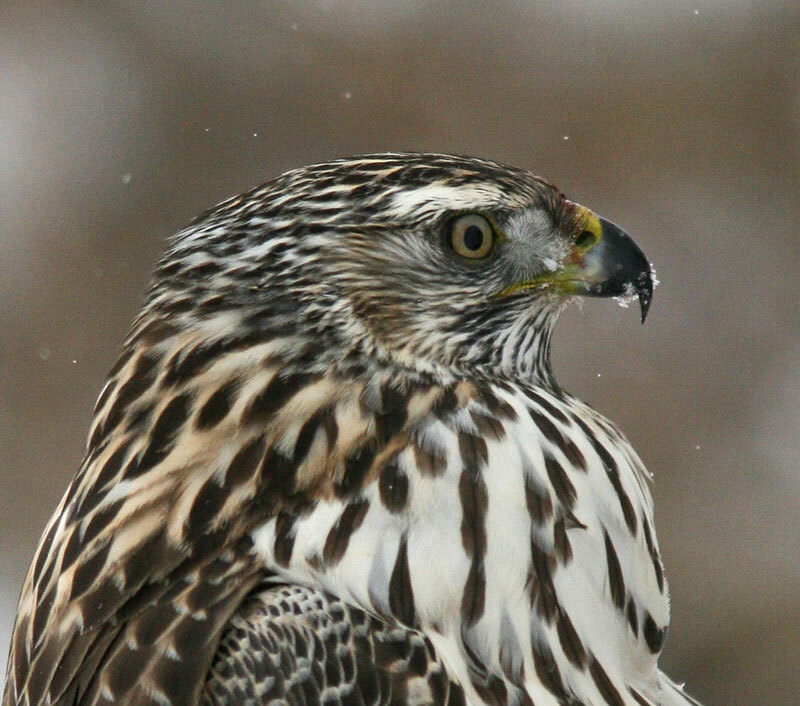 The Northern Goshawk feeds on mammals as well as birds, depending on what is available. 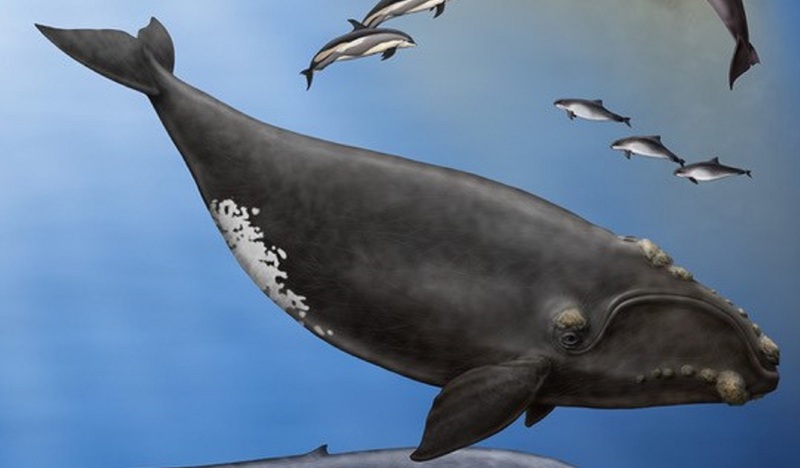 In fact, at certain times and places, mammals make up over half its food supply. 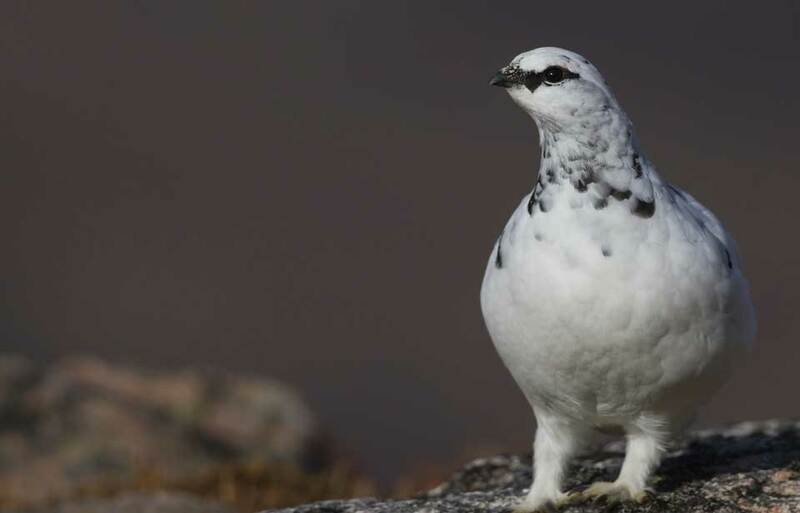 Its favourite prey includes grouse, snowshoe hares, and ground squirrels. These hawks commonly use two methods of hunting. In one, the hawk hides in a bushy tree and watches for a prospective victim to move away from its cover. Once the prey is spotted, the hawk quietly launches itself into the air, dives straight down for a few metres to pick up air speed, then flattens out and glides straight towards its quarry. As long as the intended victim remains unaware of its approach, the hawk does not beat its wings. But, most prey do detect the gliding hawk and take flight or scurry for cover. At that moment the hawk puts on a tremendous burst of speed to close the gap and makes a strike before the quarry reaches cover. A more speculative but still effective way of hunting is for the hawk to cruise along the edge of woods, along creeks or rivers, or just below tree-top level in the woods, on the chance of surprising something far enough away from cover to attempt a high-speed dash. The distance the hawk will chase varies somewhat with circumstances, but generally the two smaller species seldom pursue a quarry for more than 100 m. The Northern Goshawk, a swifter and more persistent hunter, will press its attack on birds such as Ruffed Grouse, ptarmigan, and pheasant for as much as 1 km, particularly if the flight course is across open ground. Accipitrine hawks are among the most secretive of birds in their nesting activities, and their nests are seldom found. All are tree-nesters, but the requirements of the three species are somewhat different. The Sharp-shinned Hawk prefers semi-open country with dense groves of immature spruce or similar trees. 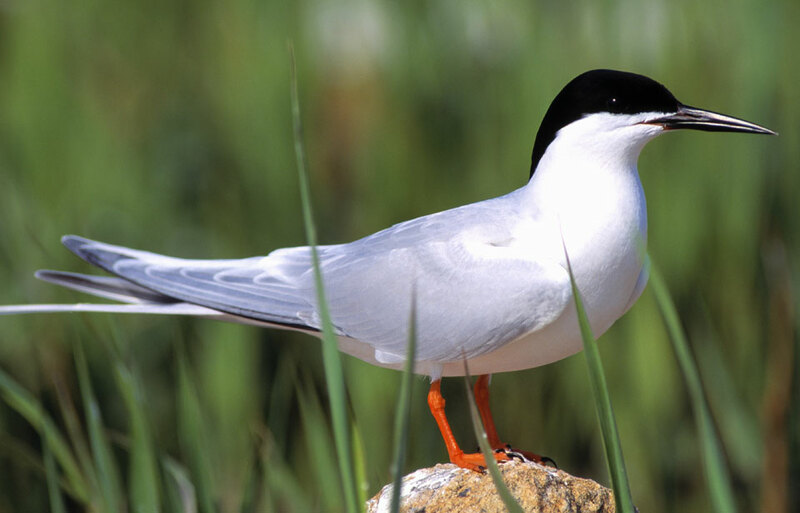 It chooses a nesting area in late April to early May and builds a new nest each year. The nest is a relatively enormous platform, almost 60 cm across, hidden in the low side-limbs of a conifer only 3 to 6 m from the ground. This species raises broods of between five and seven young. Incubation, or keeping the eggs warm until they hatch, is done mainly by the female. Incubation lasts for 30 to 35 days, and fledging, or first flight, occurs in another 23 to 27 days. 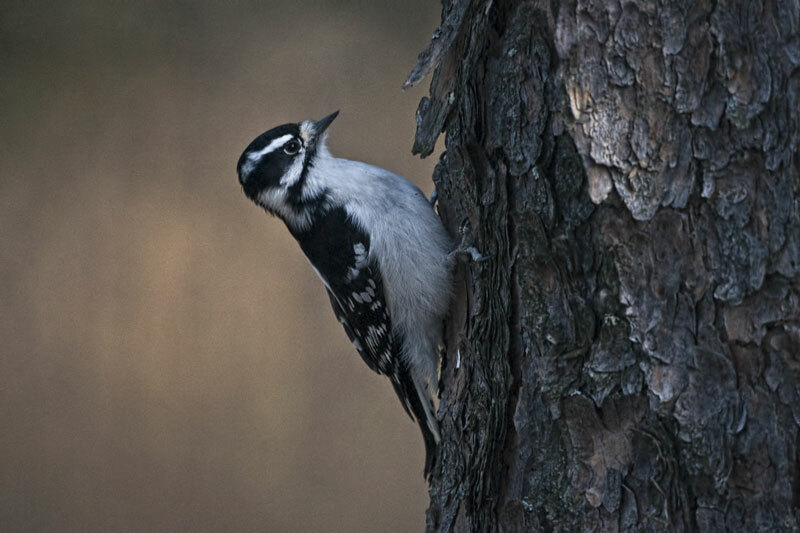 During this time the young become "branchers": they live in the surrounding trees but still receive food from the adults. Sharp-shinned Hawks aggressively defend a small area around their nest. 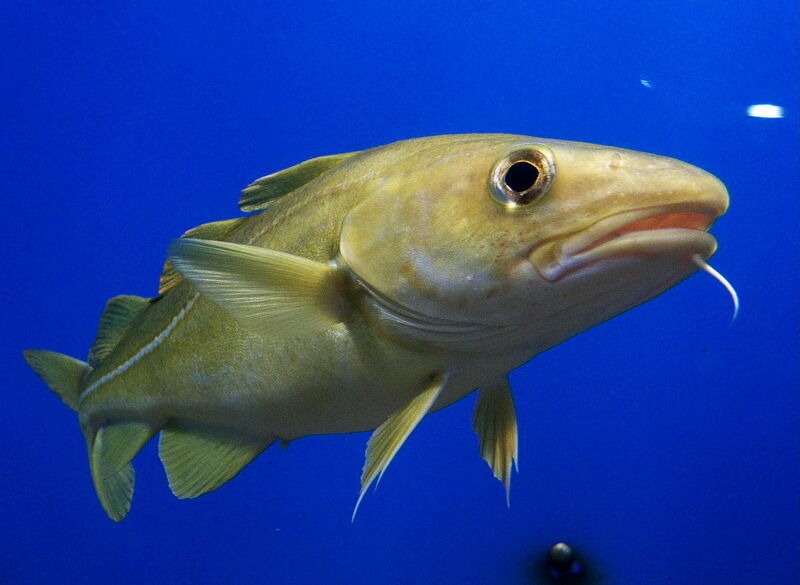 Only their small size prevents them from being dangerous to people, for they make hard contact when they strike. 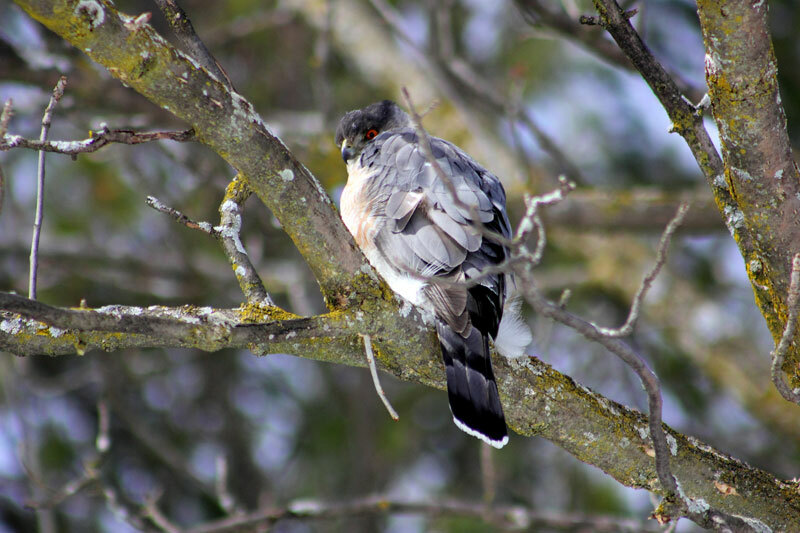 The Cooper’s Hawk returns to its traditional nesting area of tall, mature trees in mid-April to early May. 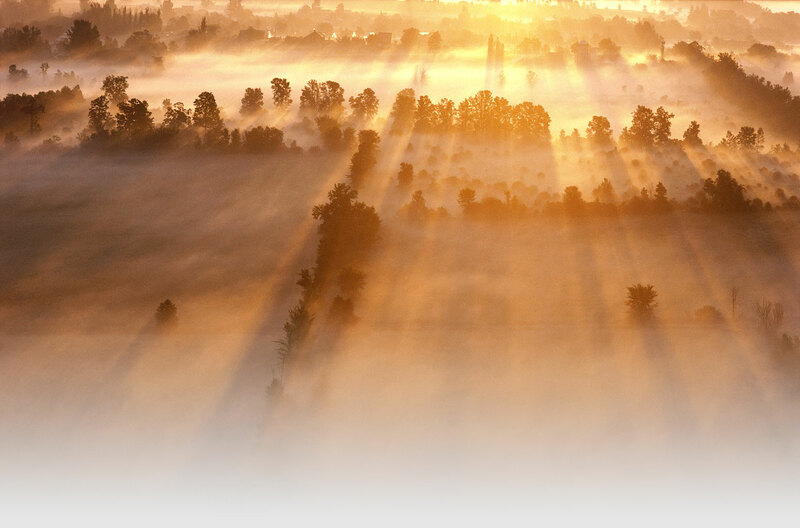 It prefers groves of trees covering some 10 to 30 ha, adjacent to open fields or grassy hillsides. Here an aerial display, accompanied by vocalizations, is interspersed with nest repair or building. Densely foliaged trees hide the nest, anchored in the fork of one or two large branches and seldom less than 12 m from the ground. The nest is often smaller than that of the Sharp-shinned Hawk and strongly resembles a crow’s nest. 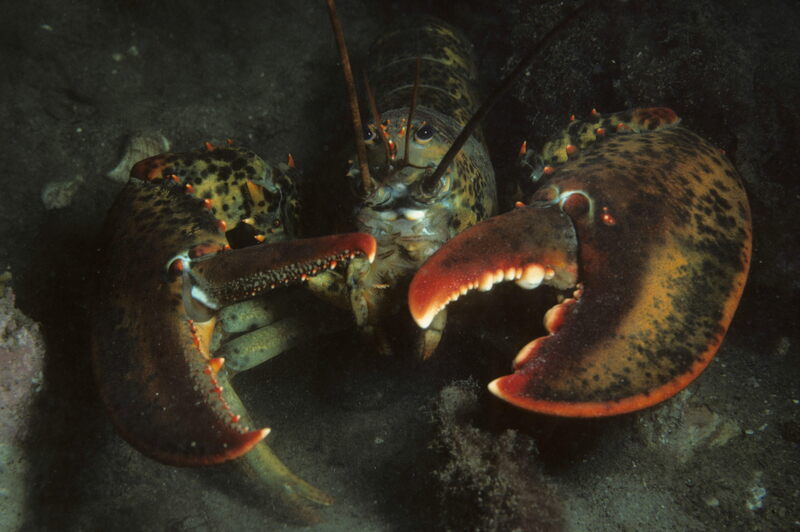 The female lays up to six eggs but seldom raises more than four young each season. 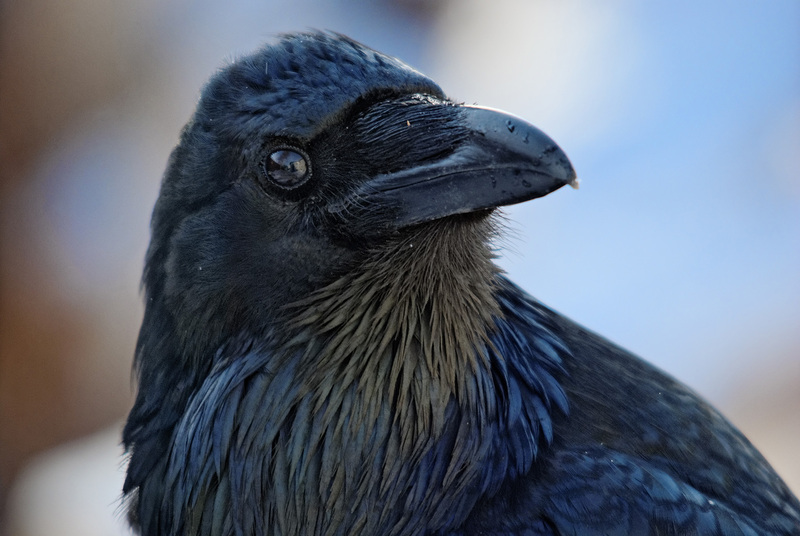 Incubation, mostly by the female, requires 35 to 36 days and fledging occurs in 30 to 34 days, during which time, like young sharp-shins, the young become "branchers." Cooper’s are among the shyest of hawks: during early incubation, at the first sign of human intrusion, the female tends to slip away unobtrusively. If intruders climb the nest tree after the eggs hatch, the adults protest briefly but attacks are almost unknown. Northern Goshawks, in spite of their far northern or high-elevation breeding grounds, begin their nesting activities a full month earlier than either of the smaller accipiters. Coniferous forests appear to be an absolute requirement for nesting but in some areas the hawks prefer contiguous mature or old-growth mixed forest dominated by conifers. Although the nest itself may be in a deciduous tree, that tree is usually 0.5 km back from the forest edge. 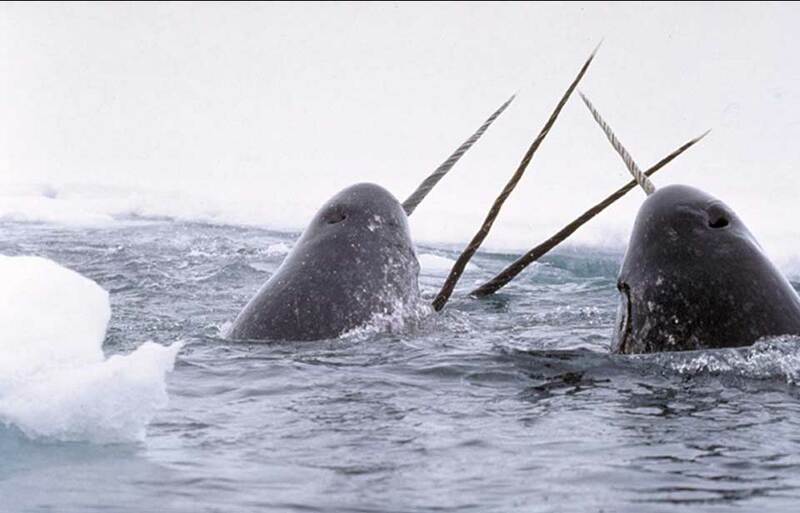 The nest is usually situated in a three-way fork anywhere from 6 to 20 m from the ground. 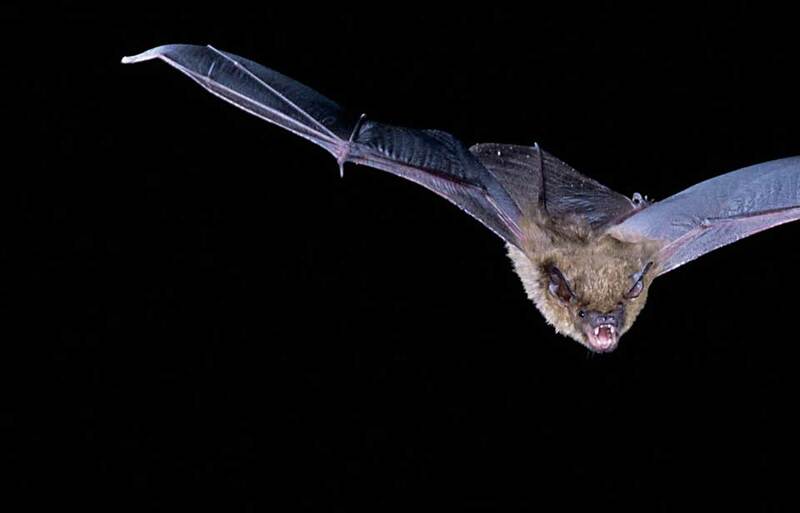 Both adults engage in a spectacular aerial display before and during nest building or repair. Two to four eggs are laid by early to mid-April, and incubation commences even though snow covers the ground and night-time temperatures drop well below freezing. 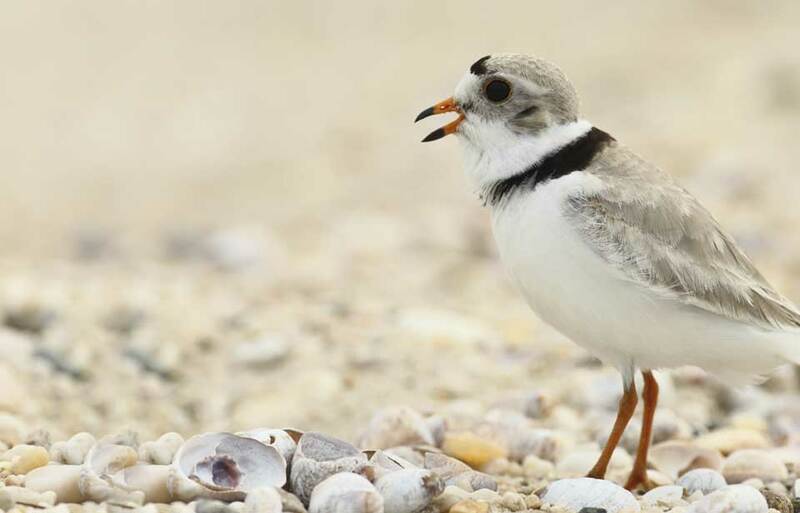 Incubation lasts for 28 to 30 days, with a fledging period of 40 to 43 days. Like Sharp-shinned and Cooper’s hawk young, Northern Goshawk fledglings also disperse to neighbouring trees, where the adults continue to feed them. Until the young leave, the adult goshawks are aggressive and strike intruders as far as 1 km from the nest. Sometimes vocalizations announce the attack but often no warning is issued. 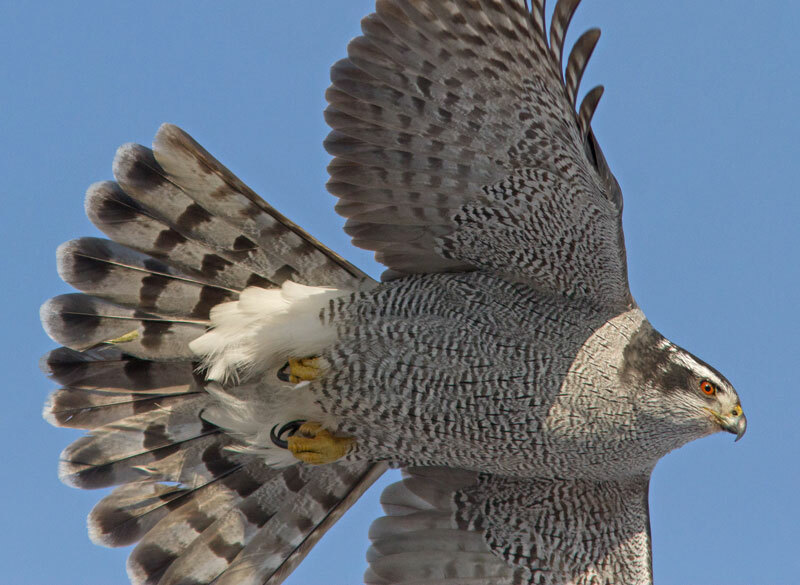 The goshawk’s speed and agility make avoidance of its attack almost impossible. 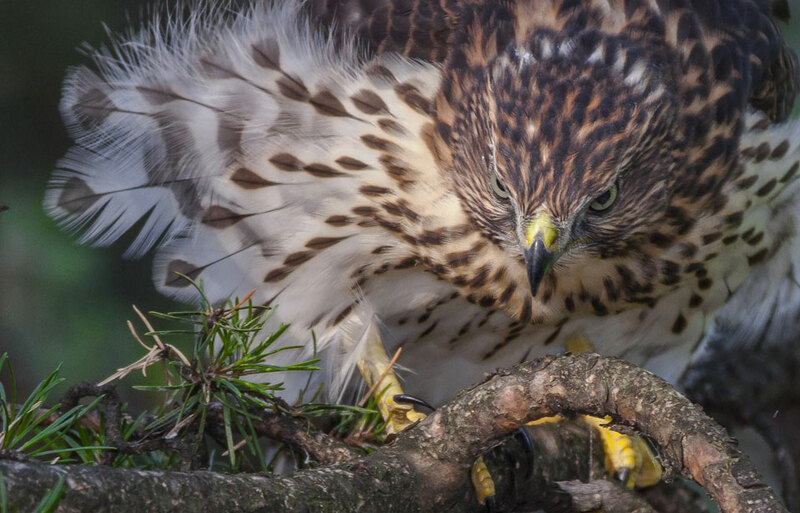 Loss of habitat for breeding hawks and for their prey has accelerated in recent years as people cleared more forested areas for agriculture, suburban developments, and industrial uses. Hawks require large undisturbed areas for successful nesting. 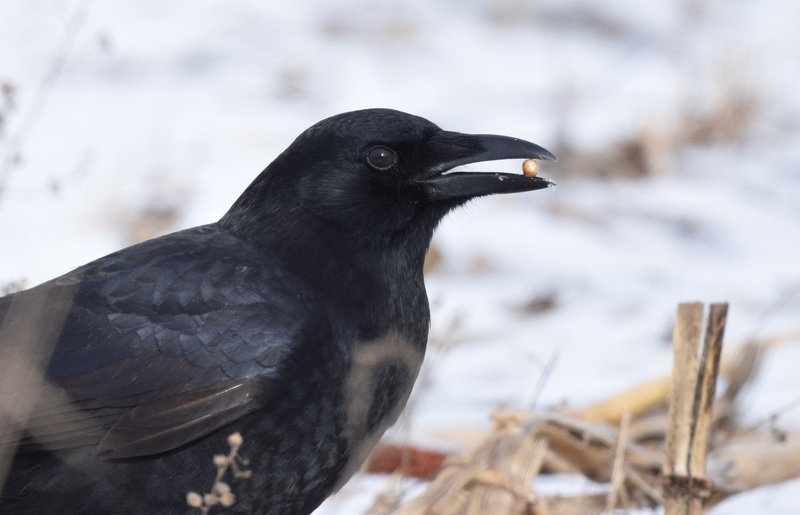 Researchers believe that a decline in the number of hawks and other bird-eating raptors in North America began and still persists in the agricultural areas of the middle latitudes. Although this population decline is probably due in part to habitat loss, it is also a result of indirect poisoning by insecticides. Small birds that feed on sprayed insects retain the tiny concentrations of chemicals in the insects’ bodies and pass these residues on to the hawks. In a food chain, insecticides that do not decompose much, such as DDT and dieldrin, accumulate at higher levels in each succeeding link, so that the hawks build up significantly more insecticide residues than do their prey. 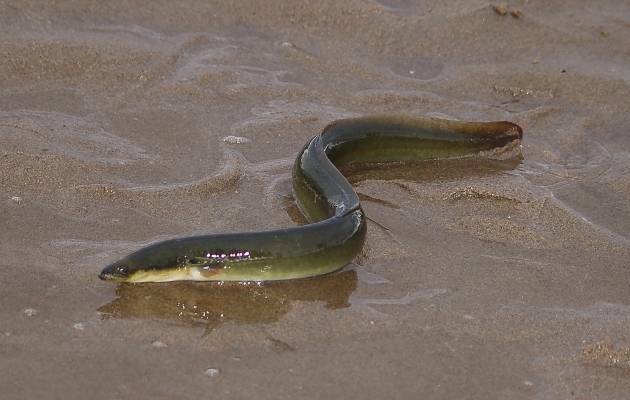 These residues can reach levels poisonous enough to interfere with reproduction. Although most uses of these persistent insecticides have been banned in Canada and the United States, the insecticides are still used in some Central and South American countries. 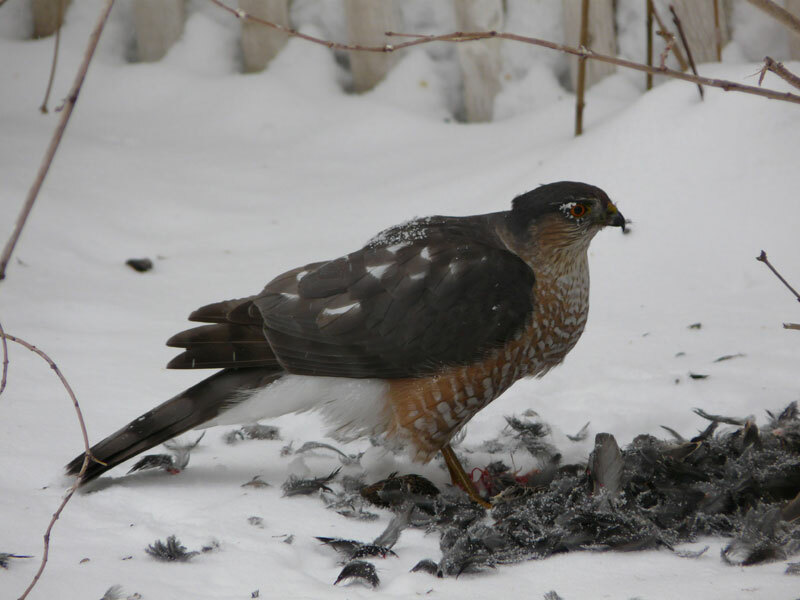 The Sharp-shinned Hawk migrates to these areas and accumulates residues. 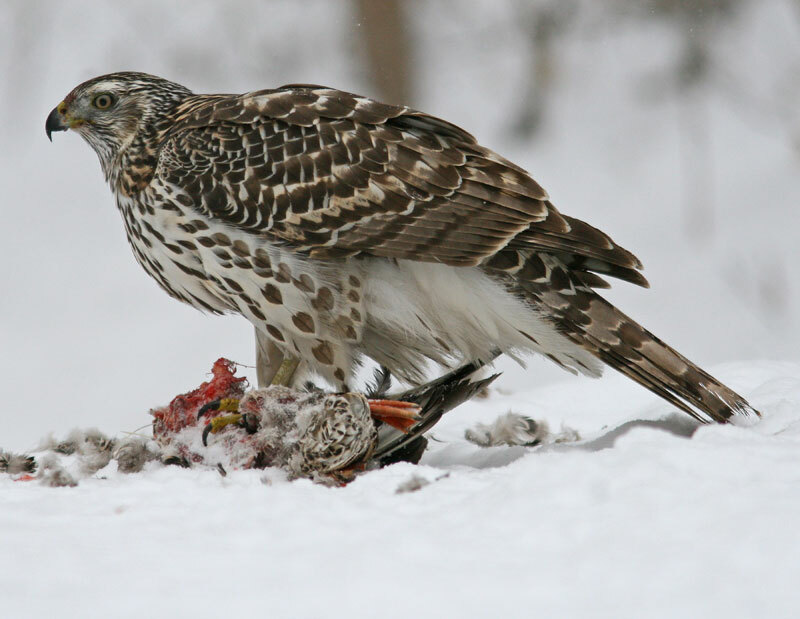 Because the Sharp-shinned and the Cooper’s hawks tend to eat more small birds than does the Northern Goshawk, the two smaller species expose themselves more to this type of contamination. Additional food chain contamination also occurs from spraying programs conducted years ago, as residues recycle in our local environment, from soil to insect to predator. Beebe, F.L. 1974. 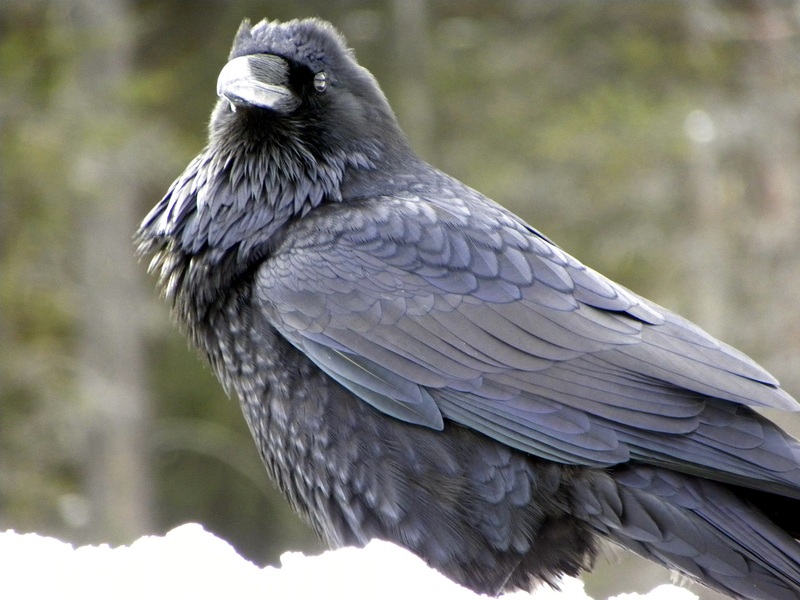 Field studies of the falconiformes of British Columbia. Occasional Paper No. 17. The British Columbia Provincial Museum, Victoria, British Columbia. Bent, A.C. 1961. 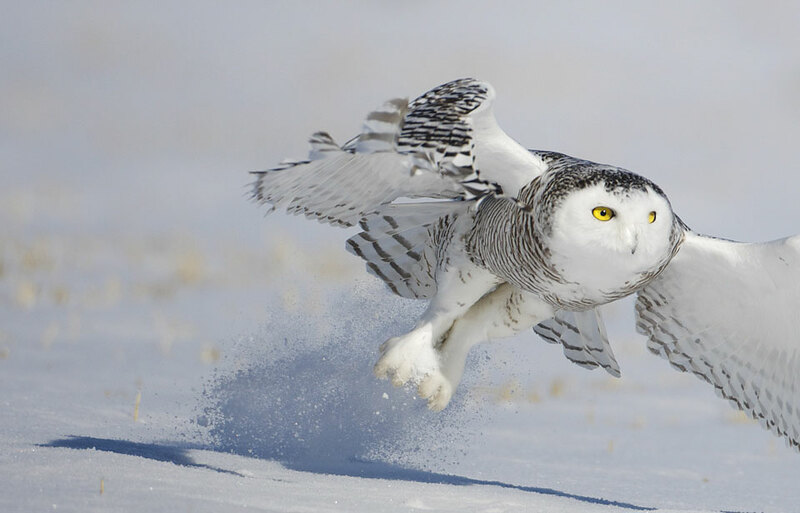 Life histories of North American birds of prey. Part I. Dover, New York. Clark, W.S., and B.K. Wheeler. 1987. A field guide to the hawks of North America. Houghton Mifflin Co., Boston. Palmer, R.S. 1988. Handbook of North American birds. Yale University Press, New Haven and London. © Her Majesty the Queen in Right of Canada, represented by the Minister of the Environment, 1973, 1975, 1990. All rights reserved.